Stylish, efficient and practical – Osram now offers a range of LED products created especially for the automotive aftermarket. In addition to daytime running lights and retrofit bulbs for interior lighting, Osram also created a collection of design-oriented accessories like flashlights with light emitting diode technology. Osram provides numerous LED solutions for many renowned vehicle manufacturers across the world. With these new products, LED technology produced by the market leader in automotive lighting applications is now available for retrofitting in automobiles. With the Osram LED daytime running light kit, the LED lights manufacturer has launched a retrofit LED daytime running light (LDR) with a homogenous light area which uses light guide technology and therefore reduces visible LED points. The high-performance LED lights ensure best visibility during the day and, being so efficient while increasing fuel consumption by only 0.02 litres per 100 kilometres. These ECE (Economic Commission for Europe)-approved daytime running lights are characterised by their modern and curved design, providing the vehicle with an active appearance. They are suitable for many types of vehicles, and can be installed by user easily. Due to its IP 69K waterproof grade, intensive car washes cause no problem for the LED lights. Besides, the daytime running light can also be used as navigation light. With the Led driven retrofit bulbs (LED bulbs with classic sockets), Osram offers a particularly design-oriented lighting solution for vehicle interiors. These can be used in the car boot, in the instrument control panels, for glove box lighting, as well as for floor lighting and reading lights. If the warm white color temperature (4000 K) version is used, Led driven bulbs help halogen bulbs like Night Breaker Plus. In the cool white version (6000 K), they are the ideal interior upgrade to modern bluer halogen bulbs like Cool Blue Intense as well as Xenon (HID) lights. The new LED retrofits lights consume up to 80 percent less energy than standard halogen bulbs. Thanks to the diodes used – Osram Oslon and Osram Advanced Power Topled – and a coating of new optical diffuser materials, the vehicular LED lights provide a pleasantly homogenous light. Whether in the vehicle, the office, at home, or on the road when travelling – the new LED accessories by Osram are wonderful mates for many reasons. 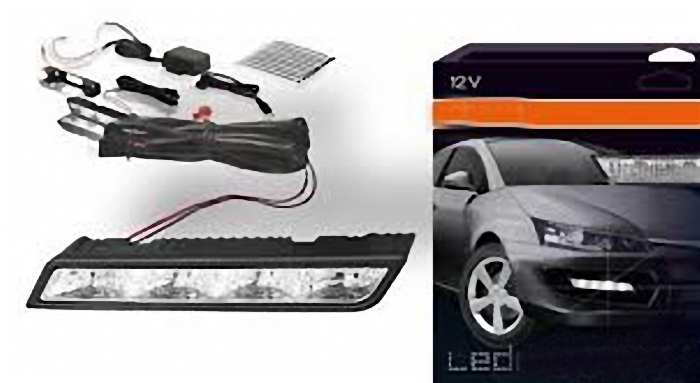 These compliated LED accessories can be used in the interior of vehicles, as well as for many other purposes. The portable LED light Cuby can be installed on the grab handle of the car, thus lightening the interior. When getting out of the vehicle, the way to the front door is illuminated using the bright light provided by the Raystar torch. All LED accessories can be easily charged via a USB interface and do not require any batteries. With their convenient, dirt-resistant surface and an operational life of 20,000 hours, they are really good solutions for portable LED lighting.